A password protects your account. Read here which characteristics a secure password has and which errors you should avoid when choosing a password. Whether you use a notebook or your smartphone: a secure password is like a key that perfectly fits into a lock and protects your account. A password in combination with an email address serves for identifying the user. It is like the key to your front door, which only grants you access to your home. The more complex the password, the more secure you are against burglary. Nevertheless, the sequence of the numbers "123456" is still the most used password worldwide. A password should be long and exceptional. The security of a password can be significantly increased by using all available characters of your keyboard: lowercase letters, uppercase letters, numbers and special symbols. It is best is to use a random combination including all those character types. A mnemonic helps to remember a secure password. Take the following sentence for example: “My friend Marie celebrates her birthday every year on 12/9!” By using the initial letters of each word, you can create a secure password which includes lowercase letters, uppercase letters, numbers and special characters: “MfMchbeyo12/9!”. A password length of eight to twelve characters helps to greatly reduce the risk of decryption. If you want to create a truly secure password, it is worth using a password generator. This tool generates a random password according to your specifications. For example, you can determine how many digits the password has and whether it should contain numbers or special characters. In order to be able to use many different passwords, it is recommended to use an appropriate software. This software manages all your passwords and stores them encrypted. You only have to remember the master password which, of course, has to meet the requirements of a secure password. Passwords existing of a sequence of numbers or of a word with personal reference to your life are insecure. Too short, too simple, used too often - these are the three biggest mistakes in choosing a password. Using a word from the dictionary as a password is not a good idea. A computer program can test all possible word combinations until hackers find the right combination. Modern computers test up to 1500 combinations - per second. And words from an encyclopedia usually come first. Internet users love to use passwords referring to their social environments, starting from passwords containing their own or their girlfriends’/boyfriends’ names, over their place of residence and edning with their favorite football club. However, a password which can be related to you is easy to guess. 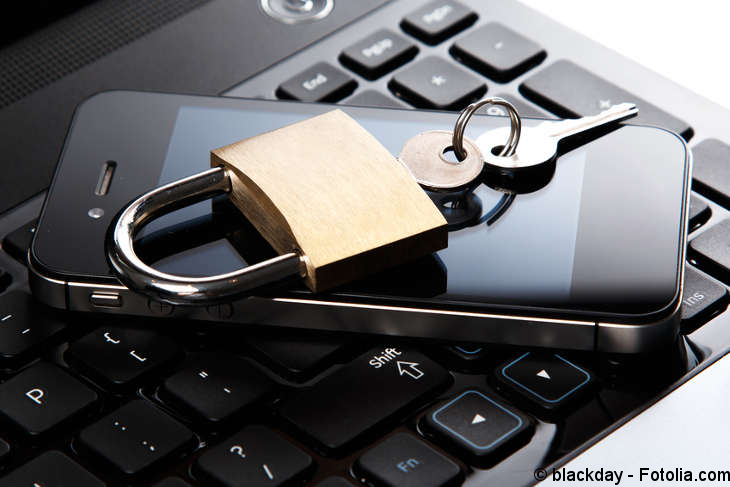 General passwords such as "123456", "secure", "password" or "qwertz123" are popular but insecure. Also, passwords referring to the topic flat search might be easy to remember, but passwords such as “room”, “tenant” or “flatmate” are not secure either. It is also important not to use the same password for all websites and email accounts. Experts recommend to change passwords regularly. By the way: a special day is dedicated to passwords due to their importance. On May 5th each year, the so-called world-password-day is celebrated. Americans even go one step further and additionally celebrate the "change-your-password-day" on February 1st. 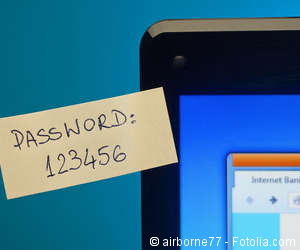 Der Artikel Login credentials: How to choose a secure password in Sicherheit unterliegt dem Urheberrecht. Jegliche Verwendung dieses Textes, auch auszugsweise, erfordert die vorherige schriftliche Erlaubnis des Autors.